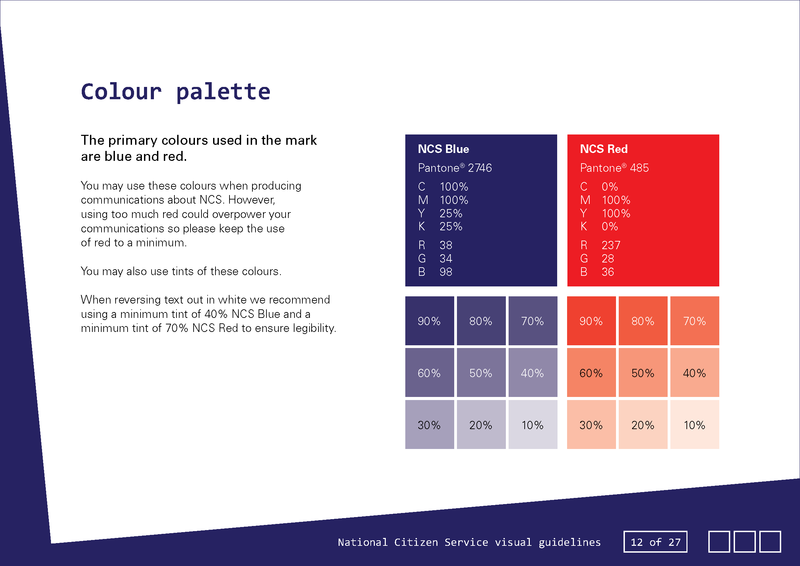 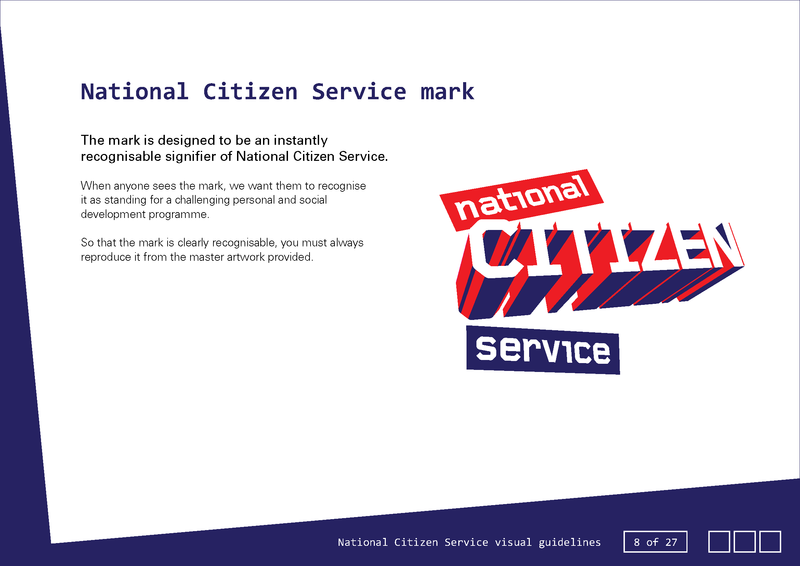 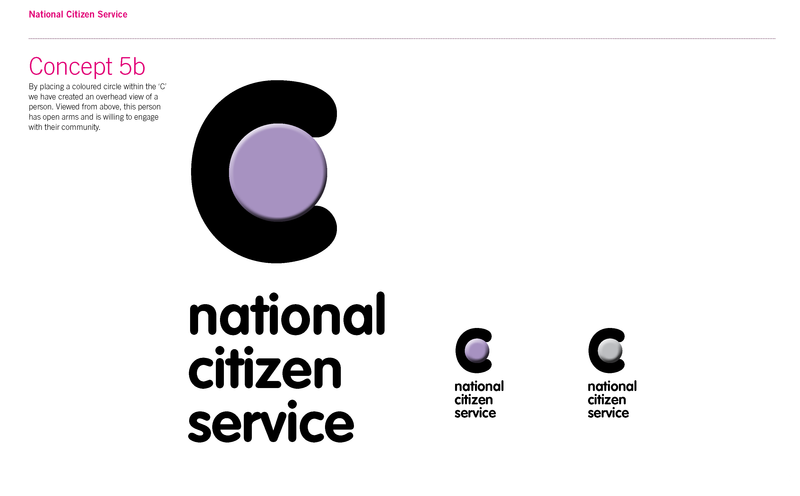 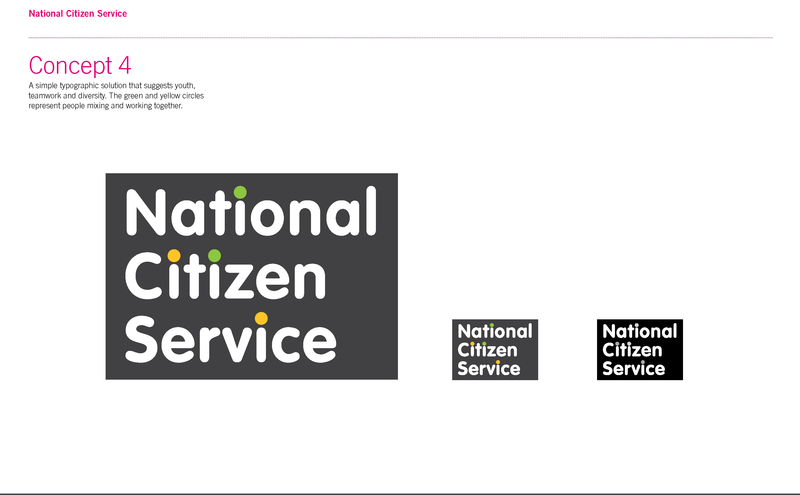 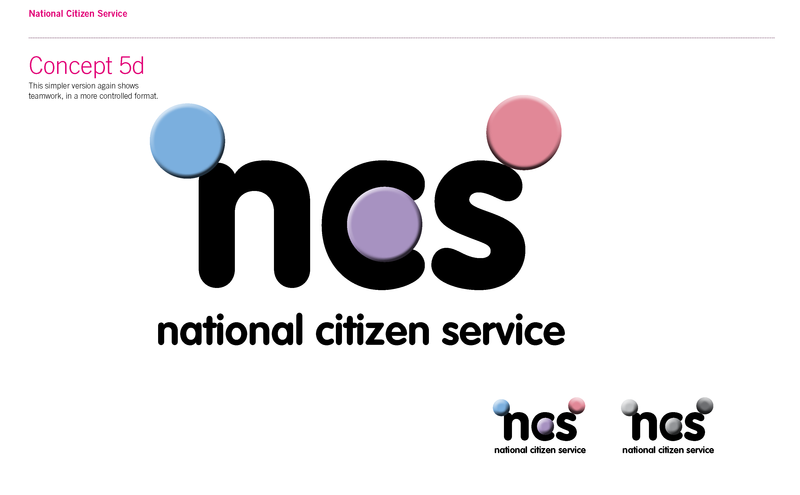 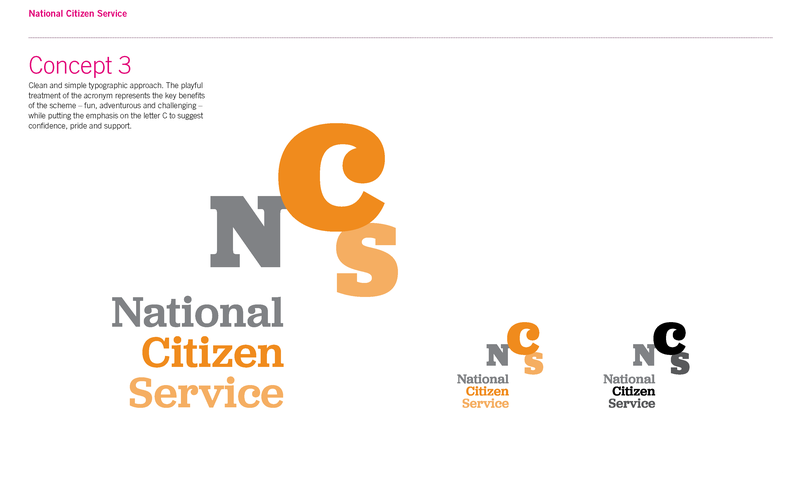 Driven by the coalition government, the National Citizen Service is a fun but challenging personal and social development programme which will help participants to become confident and socially active young adults. 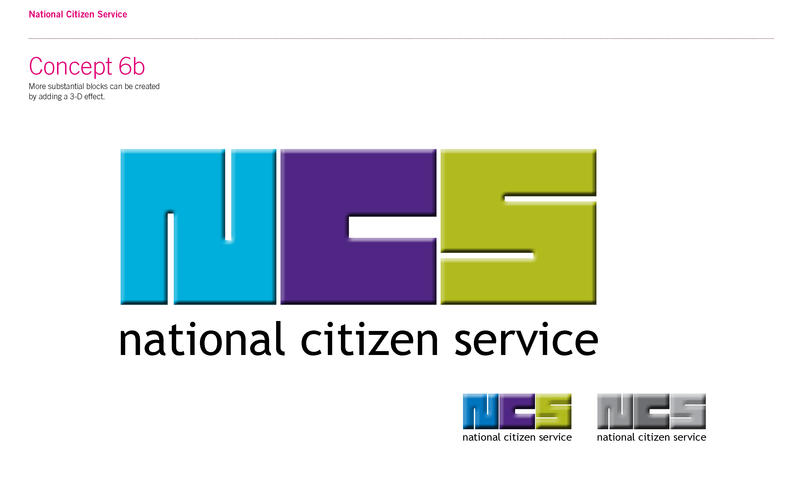 It is a voluntary programme for 16 year olds, which It includes fun and challenging activities, away-from-home residential experiences and a self designed social action project. 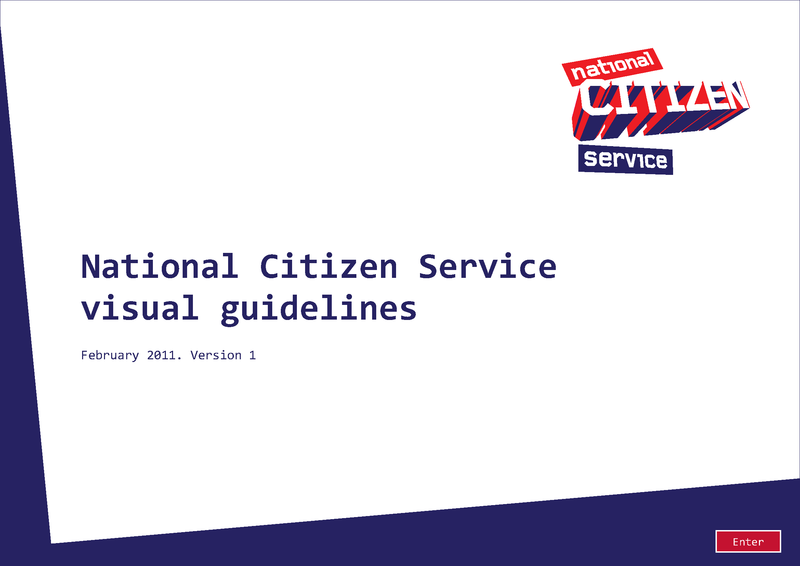 It takes place over the summer: three weeks full time, with a further 30 hours on a part-time basis over a number of weeks. 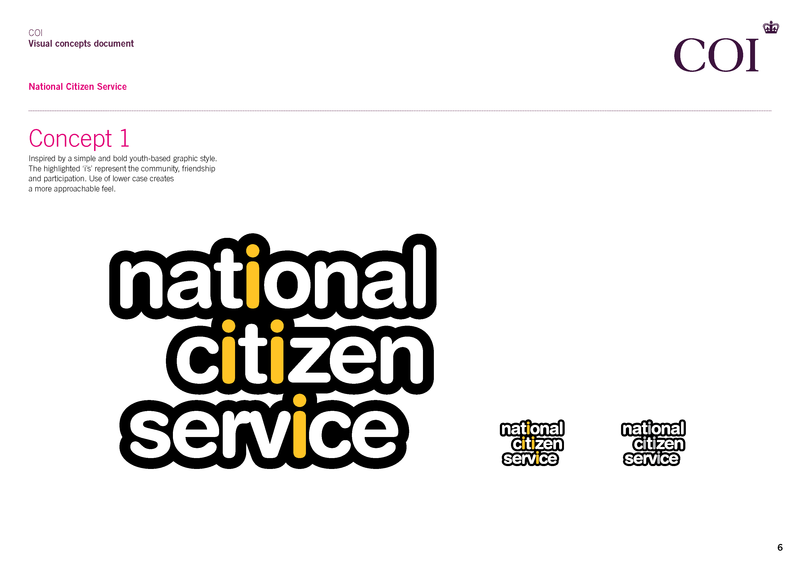 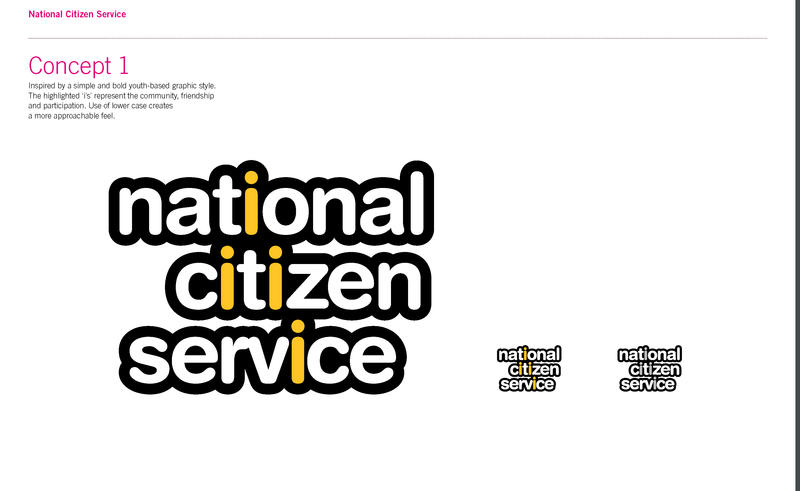 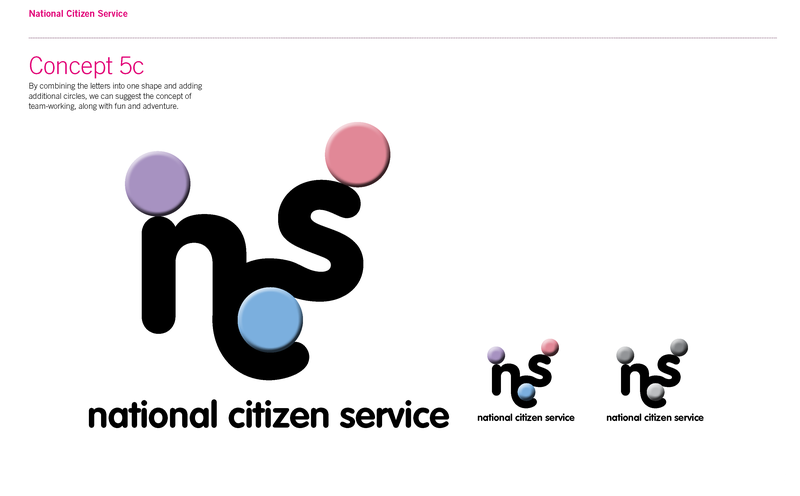 The National Citizen Service aims to promote a more cohesive, responsible and engaged society by bringing young people from different backgrounds together to make a difference in their communities. 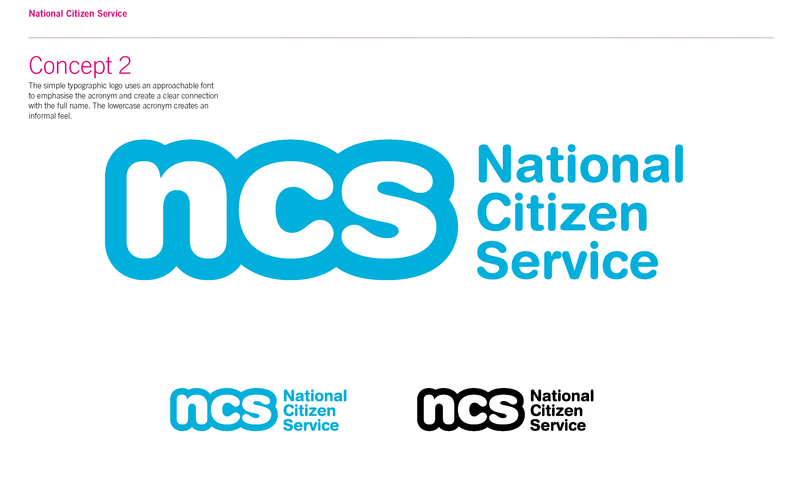 It hopes to develop young people’s decision-making and relationship building skills; and build their self esteem. 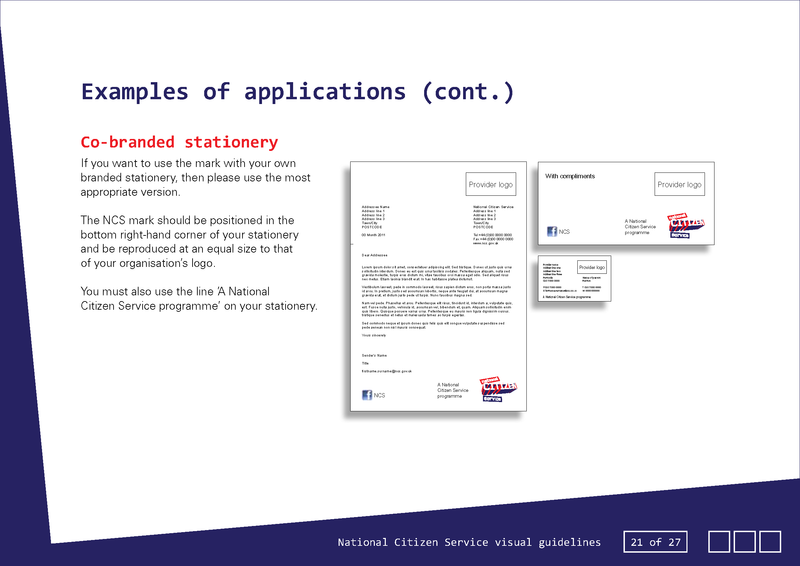 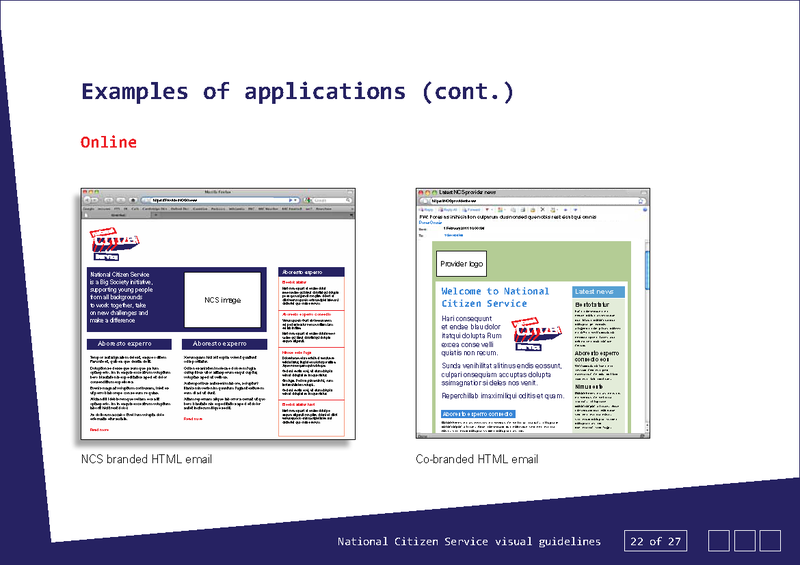 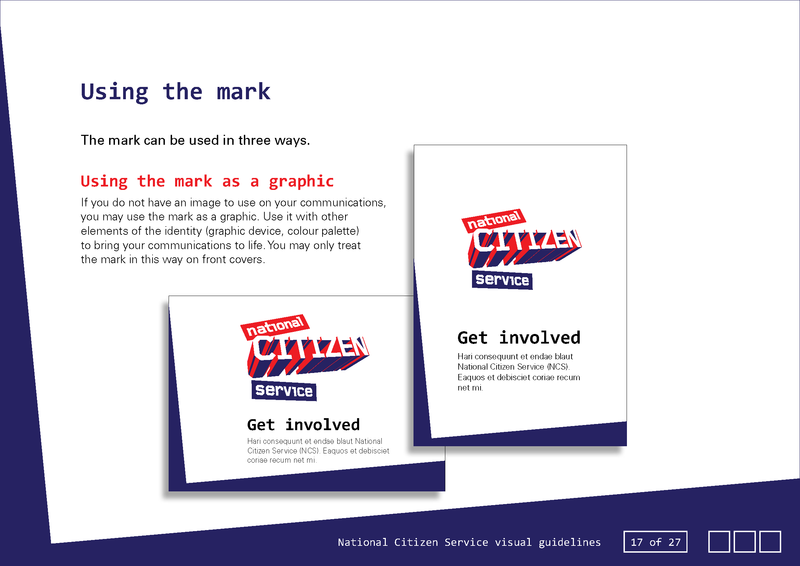 The Task was to design an identity and basic guideline, so that providers of programme activities, could use it to create communication material and develop the brand further. 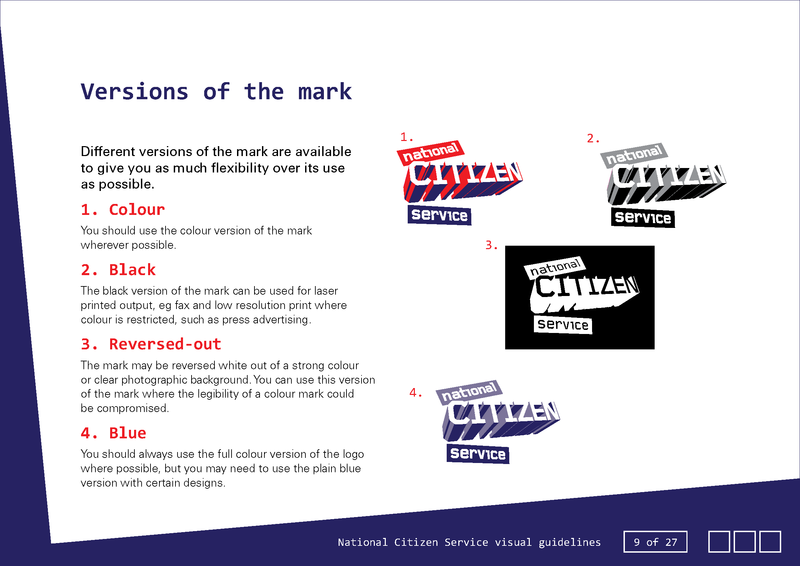 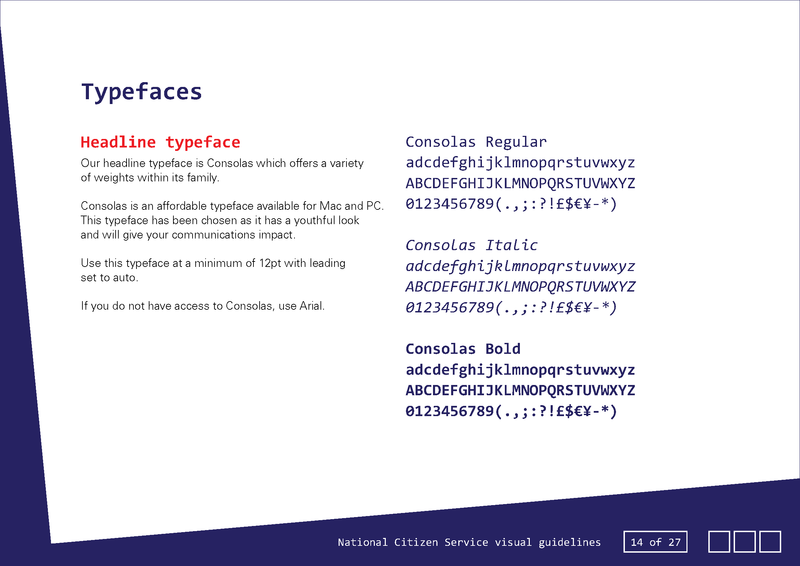 The original mark was designed by The Team. 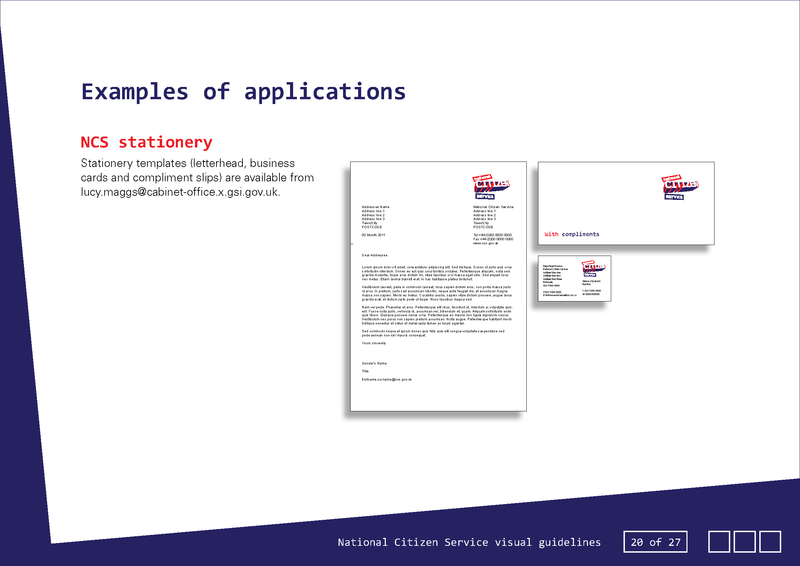 My role was to direct the creative work being being developed for the brand, work closely with the policy team in the Cabinet Office and present twice to the the Cabinet Office Minister Francis Maurd.